Over eight weeks ago Rodriquez Construction, out of Richmond, Texas, walked onto our property to find a structurally sound but basically empty, 1600 square foot barn, several acres of pasture with broken down gates and fencing, a giant slab of concrete seemingly dropped from the sky in front of the barn and a mother and a daughter full of dreams for a new life. 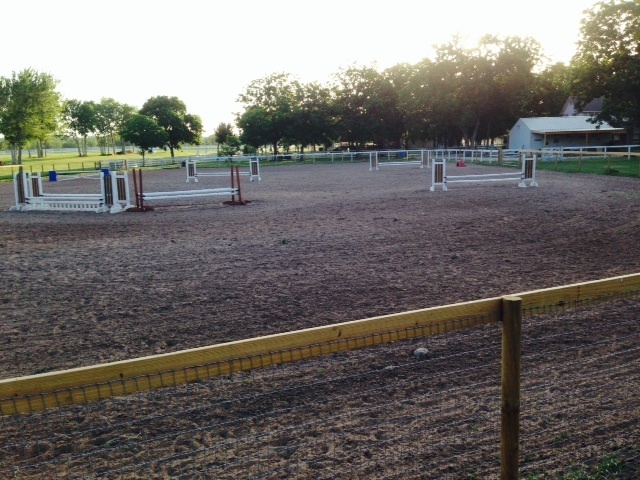 From the first day we have pushed to complete the stalls to move the horses, to complete the long lines of fencing to let the horses out, then to complete the big arena to let the riders ride and a whole bunch of little projects to make this place our home. Every time we got close to saying goodbye to our friends we had made with contractor Richard and his crew, we found one more project to do. Most recently with the barn only 30 days old, we added two more stalls and a feed room. I don’t think any of those HGTV heroes could get more from the barn space than we did. Oh, and the giant slab of concrete, well it is now a wash rack. 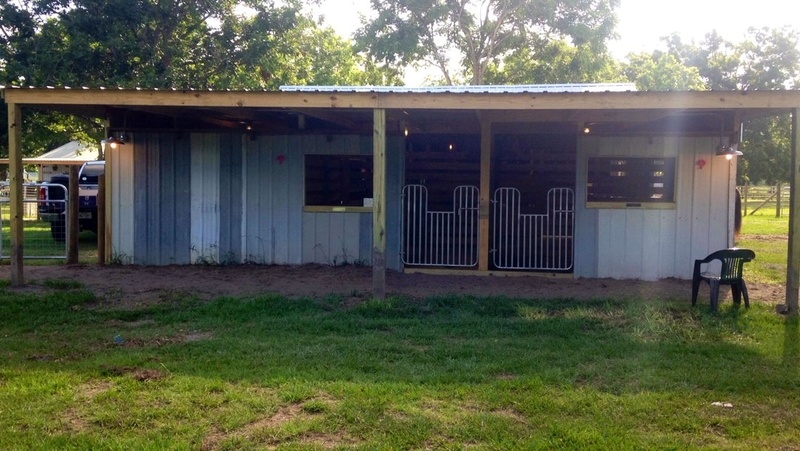 The new eastern addition includes two stalls and a feed room. Lauren and I love it! It is a dream come true. Richard and Lauren are already hatching a plan to do another barn extension in the fall, complete with bathroom and expanded tack room. In the meantime, for the very first time since this house became our home, I look around and there are no stacks of lumber. No trailers filled with supplies tucked under the pecan trees in the pasture. The saws and nail guns are finally quiet. I really can’t believe it. Can it really be done or as done as it is getting right now? I will sincerely miss our contractor friends with whom I have been starting and ending my days. For tonight as the warm breeze blows across the arena, it is quiet and tranquil and at peace. This entry was posted in Life on the farm and tagged Rodriquez Construction by Exechorseluver. Bookmark the permalink. Very good point, a friend wanted to give me her washer and I should have taken it. Richard was ready to get it all set up. Thanks for always reading along-going to get the off the track AP Indy mare tomorrow and breed her to Feather’s sire. Very exciting! You will have to wait for the story of how I decided to get yet another horse (oh, brother!). I’m very happy and excited for all of you. Hoping all your dreams come true. Keep reaching!